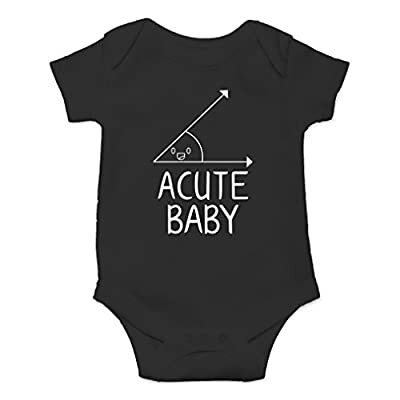 Our AW Fashions “Math Lovers Nerd Cute” baby one piece is printed on premium 5 OZ 100% cotton. This hilarious design will have all your friends and family laughing at your next special occasion. 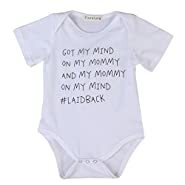 These durable, comfortable baby rompers are guaranteed to make a perfect gift for your expecting friends, baby shower gifts, or a present for your nieces and nephews. Not only is this item 100% combed ring spun cotton, it also has a three snap closure to guarantee this one piece will not come off until you want it to. On top of that, this feature makes changing diapers and clothing as easy as can be. This one piece is machine washable and is designed and printed in the USA. Sizing is made easy: Newborn/0-3 Months (5-9 lbs), 6 Months (3-6 Months) (10-16 lbs), and 12 Months (6-12 Months) (17-20 lbs). 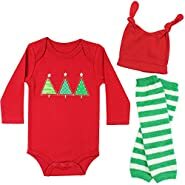 Our cute one piece infant bodysuits have flexible, comfy and soft material to make dressing easy and keep baby comfortable all day, even during sleeping time. 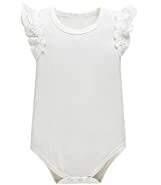 Be sure to check out our entire baby one-piece to choose what best fits your style! Ideal for a Birthday celebration, Playwear, Party, holiday, casual daily, Take a photo, Sports, sleeping. We only use the best materials so your baby can be comfortable with it all day. All of our creepers are made using soft and comfy 100% Cotton. They are pre-shrunk and pre-washed in Free and Clear (Baby Friendly) laundry detergent so they are ready to wear right away! Paint used is non-toxic, solvent and smell free professional fabric screen-printing paint. This paint is permanent and is heat pressed after the painting process to ensure absolute permanence. Do not iron directly onto the design. Our unisex Acute Baby - Math Lovers Nerd baby bodysuit romper makes a great gift for newborns, babies, infants, baby showers and expecting mothers. 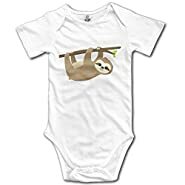 This Funny Baby Onesies is the perfect gift. Quick and easy diaper change with reinforced three-snap closure 100% Soft Ring Spun Cotton baby Onesies. Lap Shoulder Neckline For Ease of Dressing, 100 % preshrunk, baby soft cotton, machine washable Our AW Fashion design printed with pride in the United States. This is an original inspired design and does not infringe on any rights holder's rights. Over 100,000 happy costumers with 98% customer satisfaction.